The number of connected devices is growing exponentially. In fact, current estimates from IDC Research predict IoT spending will reach $1.29 trillion by 2020. Although many of these are consumer devices (such as Fitbits or smartphones), the presence of IoT devices in industrial settings is skyrocketing as well, with manufacturing forecasted to be the industry making the largest investment in IoT. With this increased connectivity, the industrial internet of things (IIoT) offers exciting possibilities for transforming many different industries–from industrial automation and manufacturing, to oil & gas and building security. By utilizing the IIoT, industrial companies can leverage technologies like big data analytics to optimize operations, improve efficiency and generate insights that can increase profitability and competitive advantage. Although many industrial companies may envision an IIoT-enabled future, the reality is that most are still struggling with how to make the transition given they are still dependent on their legacy infrastructure. 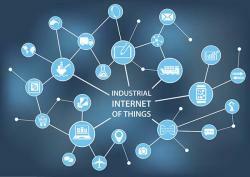 John Fryer, senior director of industry solutions for Stratus Technologies, has outlined five things industrial companies should be thinking about in terms of IIoT readiness in order to overcome the barriers to making the transition. A common barrier to the IIoT transition has to do with the mindset and culture of Operational Technology (OT) organizations, which are quite different from those of Information Technology (IT) organizations. IT is most commonly defined by constant change and innovation, whereas OT is change-and risk-averse. Therefore, we often see industrial automation systems in service for decades at a time with little or no change because stability is the top priority in a world where any downtime of production systems can have a devastating impact on revenue. In order to achieve the full potential of the IIoT, the gap between these two cultures needs to be bridged so that the competing priorities of IT and OT are met. We’re beginning to see the emergence of “industrial technologists,” who bring a combined IT/OT perspective to the enterprise. These “industrial technologists” understand that for IIoT to be a reality, “always on” availability needs must be met. Because they live in both worlds, they play a key role in meeting both OT and IT priorities. Industrial environments are usually composed of discrete automation systems deployed throughout an organization over time and are often not tied together, resulting in “siloed” data stores throughout the facility. Another challenge is the fact that many OT systems that keep the plant running are often outdated applications residing on dedicated hardware. This creates numerous single points of failure and makes it difficult or impossible to integrate the data needed for advanced analytics. A key step toward the IIoT is making sure any new systems added to the environment are based on industry-standard components to allow for interoperability, as sharing and consolidating data is the key to realizing the benefits of the IIoT. Before you can begin to tap the potential of next-generation, big data-driven, intelligent automation, the foundation on which it is built needs to be modernized. The first step is to take a look at existing OT infrastructure. In most environments today, you will see old desktop hardware and servers running operating systems and software that are often very outdated; dedicated PCs for each application; and proprietary systems that have been patched for years just to keep them going. However, this legacy OT infrastructure presents many problems. First, it is difficult to secure. For systems running on outdated operating systems and applications, security patches may not be available anymore or may require that each system be updated separately. Second, there is a challenge around connectivity. The IIoT needs data feeds, which require a lot of connectivity between OT systems and IT resources. Connecting the isolated OT system infrastructure with IT infrastructure via IP networking creates even more security vulnerabilities. Finally, there is the challenge of managing this complex, interconnected infrastructure. Migrating from discrete systems to virtual machines offers many benefits, ranging from increased interoperability and greater infrastructure efficiency to easier application upgrades. Deploying multiple applications on a single, virtualized server residing on low-cost, standards-based hardware reduces the number of physical systems that must be bought, configured and maintained. However, it also presents a challenge. Consolidating IT and OT systems on a single physical machine replaces many points of potential failure with a single point. This can increase risk as exposure to unplanned downtime becomes greater. Addressing this potential risk point with a strong availability strategy is crucial to the success of any IIoT implementation. Before thinking about issues around security or availability to determine IIoT-readiness, it is serviceability that you need to pay attention to. When evaluating new technologies, serviceability should be your top concern as most industrial operators are running equipment that is old and not properly maintained with patches or upgrades. As operators consider investing in automation and ultimately the IIoT, they should prioritize assets and equipment that are easy to service and can be managed remotely, as legacy systems can be inherently unsafe and insecure. Building your availability strategy around these easily serviced solutions that are simple, reliable and built for the long haul is a crucial step in readying your company for a transition to the IIoT. Furthermore, deploying solutions that do not require regular care and interaction frees up time for personnel to focus on higher-value tasks, such as analyzing all of that newly generated data.